Woodland Scenics Subterrain Lightweight Layout System. 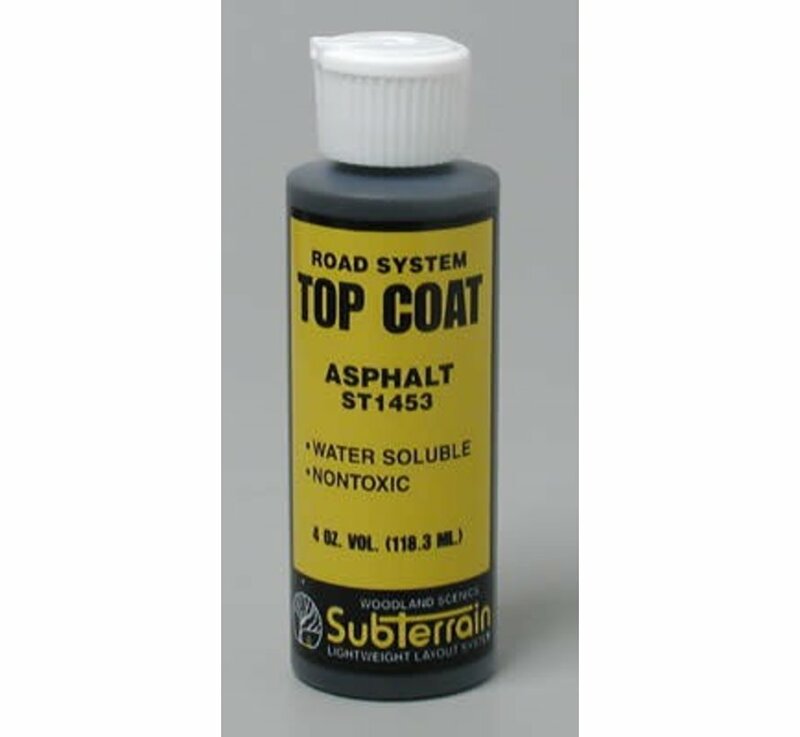 Specially designed to simulate the color of road surfaces. realistic roads, parking lots, sidewalks or curbs on any surface. 4 ounce plastic bottle with flip-up spout. One 4 Ounce Bottle of Asphalt Colored Top Coat.